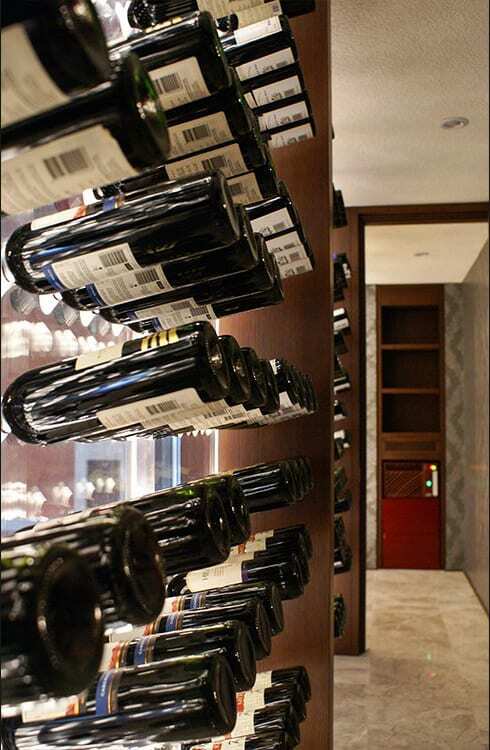 After considerable success at the Sheraton Hotel Atakoy Istanbul, FWC was approached to realise another wine cellar for the Sheraton Hotel Maslak Istanbul. In this instance, the space reserved for the wine cellar was large enough to be divided into two compartments each with a different temperature setting. Though the preservation conditions for all wines are the same, and they are usually kept together in one cellar, creating separate compartments with different climate conditions can sometimes have its own operational advantages. With a standard one-compartment cellar, white wines need to be chilled before serving in order to attain the required serving temperature. With a dual-compartment cellar, as the preservation temperature is low, not only it is time efficient, with less chilling time required, but it is also far more conducive for the bouquet of the wine to come forth. 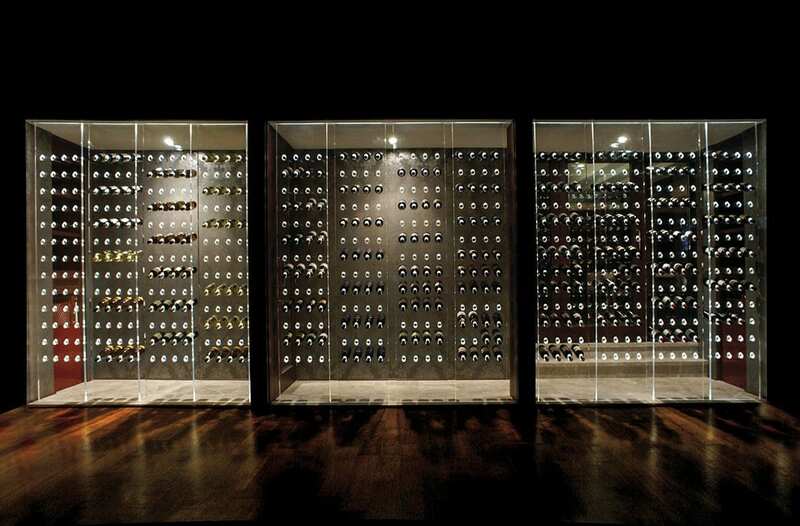 Linear alignment of the two compartments behind a uniform glass façade creates an image of a large single-space wine cellar. PLX-3 wine storage units, which comprise of CNC-cut acrylic panels and concealed LED illumination, add to the simple elegance.